We’ve been so lucky with the weather on the Algarve in October and November with temperatures soaring to 28 degrees. Apparently, the highest temperatures we’ve had for years! As this is a slightly quieter time for us on the Algarve, we like to take the opportunity to go on a well-earned break and discover the hidden gems further afield in Portugal. 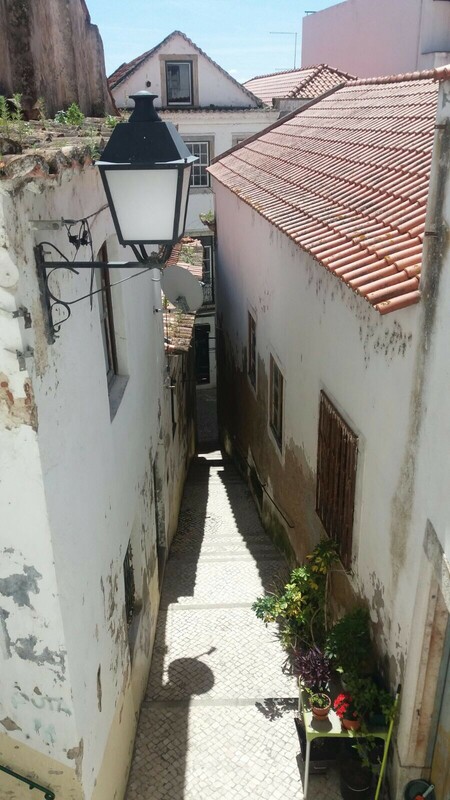 We recently took a road trip to Alcacer do Sal, a historical town in the district of Setubal situated just under and a little to the right of Lisbon. Just near the sea and surrounded by castle ruins, this charming town is full of medieval cobbled streets, worn down over time and clustering around the banks of the Sado River. Traditional wrought- iron balconies overlook the river and underneath them are a collection of cafes and restaurants. Many territorial battles were fought from the ramparts and towers of the hill top towns in Portugal. This particular town’s name comes from the Moorish ‘ al qasr’ meaning – the castle and the Sal refers to the production of salt in this area. The castle is of Muslim origin but was built on land used by the Romans as early as the 6th century for fortification. There are dozens of imposing towers to be seen, however the most significant belongs to the church – Igreja do Espírito Santo. It is here that King Manuel married his second wife. Also of interest in the town are the Roman remains which were discovered in 1980 and the nature reserve of the Sado estuary with wetlands which are home to many animals and birds. There are many wonderful features as you walk around the town where the old water fountains are still working. The streets are tiny with traditional cobbles or ‘calsada’ giving you the feeling that you have stepped back in time. The food is traditionally Portuguese with plenty of fish, prawns and pork with clams. 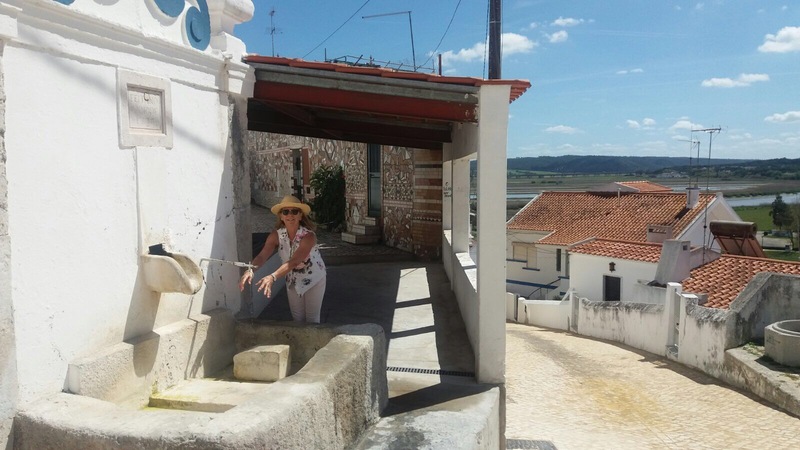 This little town is well worth a visit and an overnight stay at the Pousada Castelo Alcácer do Sal, a historical hotel set in a medieval castle of peace and tranquility on the hillside overlooking the church and the river. The drive from the Algarve takes about 1.5 hours and when you return you can drive over the bridge or take the car ferry. Here you can head towards Bairro da Quintinha travelling more towards the western coast line and the amazing Vila Nova de Milfontes which is very similar to the Cornish and Devon coastlines in the UK. 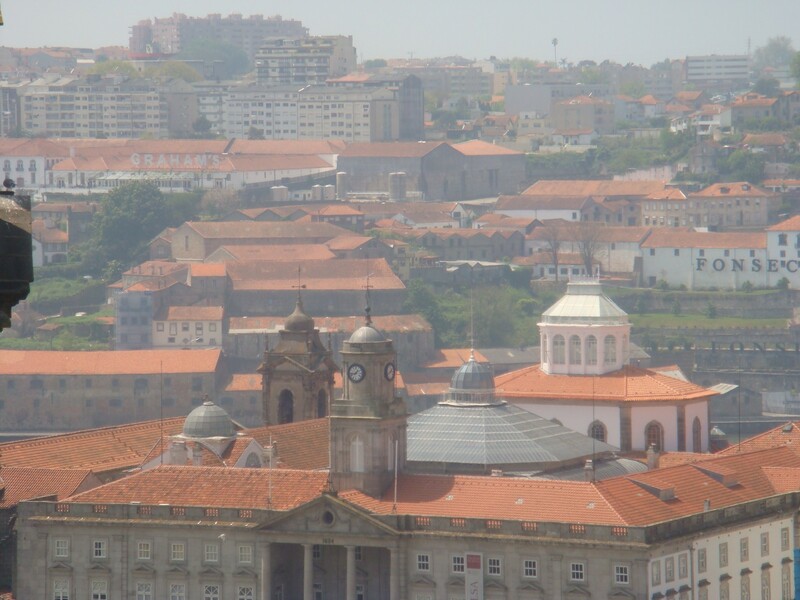 Our next trip was to Porto, also known as Oporto and the second largest city in Portugal after Lisbon. Located along the Douro river in Northern Portugal, it is also one of the oldest European centres where the coastline extends to the Atlantic Ocean and it is also a World Heritage city. Many years ago, it was an outpost of the Roman Empire and its Celtic-Latin name ‘Portus Cale’ has been suggested as being the origin of the name Portugal. The city was also the main trade route between Lisbon and Braga. Porto is also the home of one of Portugal’s internationally famous exports – Port wine (Vinho do Porto) which is named after Porto, from the Douro region which is famous for its fantastic wine and port. There are two sides to Porto – to the southern side of the Douro river is the city of Vila Nova de Gaia and to the Northern side is the Ribiera district and the city of Porto. During the 14th and 15th Centuries, the deep river waters were crucial in the development of Portuguese ship building. This was also the port from where Henry the Navigator set sail to explore the Western coast of Africa. During this time the people of Porto earned their nickname, ‘tripeiros’ or tripe eaters, as the good cuts of meat were sent with the ships for the sailors. The two sides of the city are connected by Ponte Dom Luis bridge, the first iron bridge that was inaugurated in 1843, designed by Gustavo Eiffel and opened to the public in 1886. On the Vila Nova side of the river you will find all the port houses and tasting rooms such as Caleb and Koke. Other houses are based up the hill side and require a bit of a walk and climb to get there such as Offley and Graham. By the 1700’s, wine was already an important part of the economy with the boats known as ‘barcos rebelos’ transporting barrels of wine down the Douro River from the vineyards in the Duoro Valley. Don’t miss the chance to have a wine tasting experience. You can either make a reservation in advance directly with the port houses or just call in for a simple tasting session. 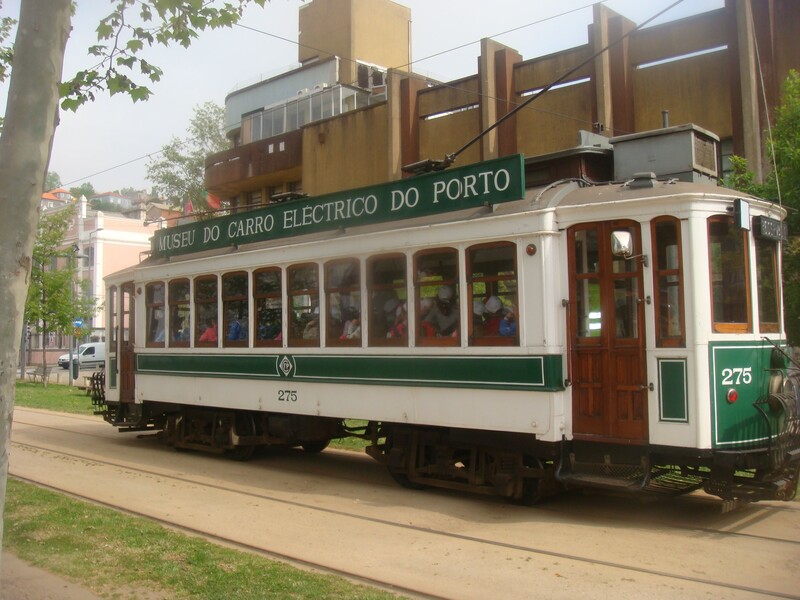 Travel in style and take the trams that run regularly through the town as well as the open top buses taking visitors to the north side and the beaches. 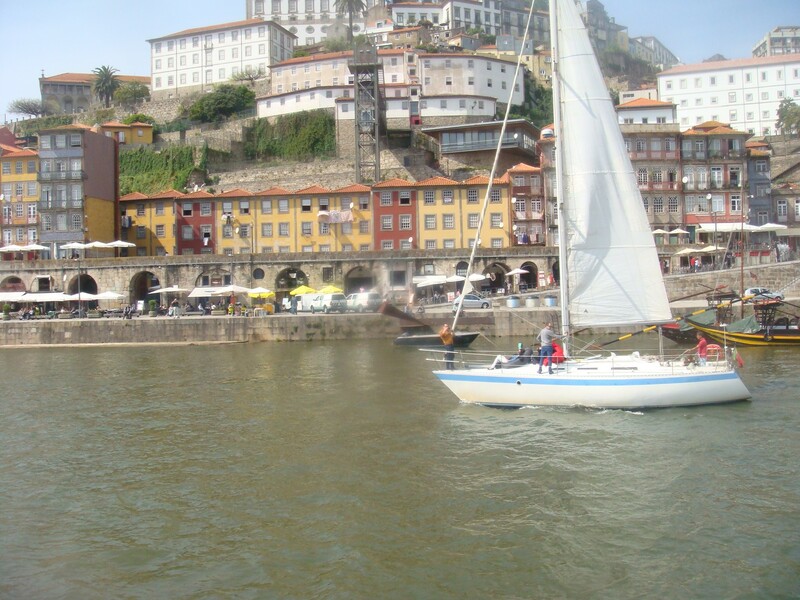 A visit to Oporto is a great short trip as flights can be purchased from as little as €35 from Faro operating daily. 2nd December – Vila Vita holds it’s Christmas market in the Biergarten over the first three weeks in December, reflecting the spirit and style of Northern Europe’s traditional markets. 2nd December – Val do Lobo’s Charity Christmas market offers a great day out for all the family with shopping, activities and entertainment. 31st December – The end of year celebrations, held on Praia dos Pescadores (Fisherman’s Beach) Albuferia. The celebration includes live music, fireworks and plenty of entertainment. Make sure you share your Christmas celebrations with us on our Facebook and Instagram pages.